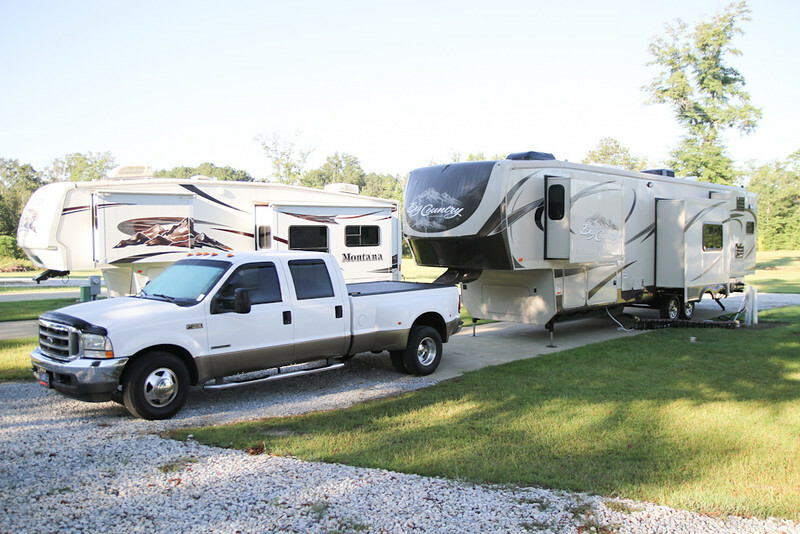 Deer Run RV park is in Troy, Alabama. Left (street) side of our coach and truck. It was a cool and damp Sunday morning. Note the truck's windshield.